Last edited by Warroad; 07-07-2009 at 08:16 AM. Best bet would be to get a VIN from the list and just get some on-line quotes from different places. State Farm is really cheap and still an "A" rated company. Geico is stupid expensive right now. Just shop around. Without your driving history, GPA, marital status, etc, nobody here will be able to give you a quote unless we have some insurance agent members that noone knows about. Don't think anyone could give you an accurate price here... Chevyrocker is right... get a VIN and shop around. If you have a car and insurance now then check with your current agent. Made a FastEstime! on State Farm, and it wasn't as bad as I thought it would be - around $400 a month. 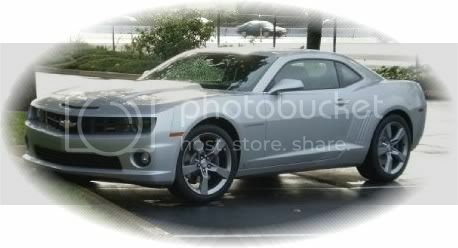 Might just buy a Camaro after all! 400 a month...ouch thats pricey! Haha yes I know. Is it a possibility to go see an agent and try to talk it down? Or is it impossible to negotiate on auto insurance in the US? I would be very glad if I could get it down to around $250. I have quotes from $634. to $1150, $400 or even $250 a month seems excessive. Is that $634 to $1150 a month or per year? State Farm gave me a quote of $325 every 6 months. You should be looking somewhere between 400 and 600 for SIX MONTHS. Warroad, how does that $400/month quote compare to what you'd pay for another car's insurance? My 2010 2SS/RS SIM, LS3 was ordered on 10/13/08 and delivered on 5/9/09!